Warsaw has two airports. 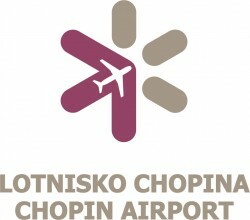 The main one is Warsaw Chopin Airport (http://www.lotnisko-chopina.pl), situated in the south of the city, 10 km from the centre, 19 km from the tournament’s site. The taxi to the centre costs €10, to the tournament’s site costs €25. The airport is also well connected with the city by public transport. Airlines: Adria, Aerlingus, Aeroflot, АероСвіт, Air Baltic, Air France, Alitalia, Austrian, Belavia, British Airways, Czech Airlines, EL AL, Finnair, Jet Air, KLM, LOT, Lufthansa, Malev, Norwegian, SAS, Brussel Airlines, Swiss, TAP, Turkish Airlines, Spint Air, Eurolot. To get to the TOURNAMENT’S SITE, take bus 188 (direction: Gocławek Wschodni) and go to GUS bus stop (20 minutes). There, change to tram 17 (direction: Zajezdnia Żoliborz) and go to AWF tram stop (30 minutes). You will need two tickets (€2). To get to the IBIS HOTEL, take bus 175 (direction: Pl.Piłsudskiego) and go to DW. CENTRALNY bus stop (25 minutes). There, change to bus 127 (direction: Bródno-Podgrodzie) and go to MURANOWSKA bus stop (15 minutes). You will need two tickets (€2). To get to the CITY CENTRE, take bus 175 (direction: Pl.Piłsudskiego) and go to CENTRUM bus stop (30 minutes). You will need one ticket (€1). Another airport is situated in Modlin (http://www.modlinairport.pl/), 27 km from the tournament’s site, 35 km from the city centre. It starts operating from July 2012. Airlines (cheap flights): RyanAir, WizzAir. To get to Warsaw you will have to take a shuttle, more info soon. There are direct connections with most European capitals. Central Railaway Station in Warsaw (Warszawa Centralna) is situated in the very centre of the city. To get to the TOURNAMENT’S SITE, take tram 17 (direction: Zajezdnia Żoliborz) and go to AWF tram stop (30 minutes). You will need one ticket (€1). To get to the IBIS HOTEL, take bus 127 (direction: Bródno-Podgrodzie) and go to MURANOWSKA bus stop (15 minutes). You will need one ticket (€1).